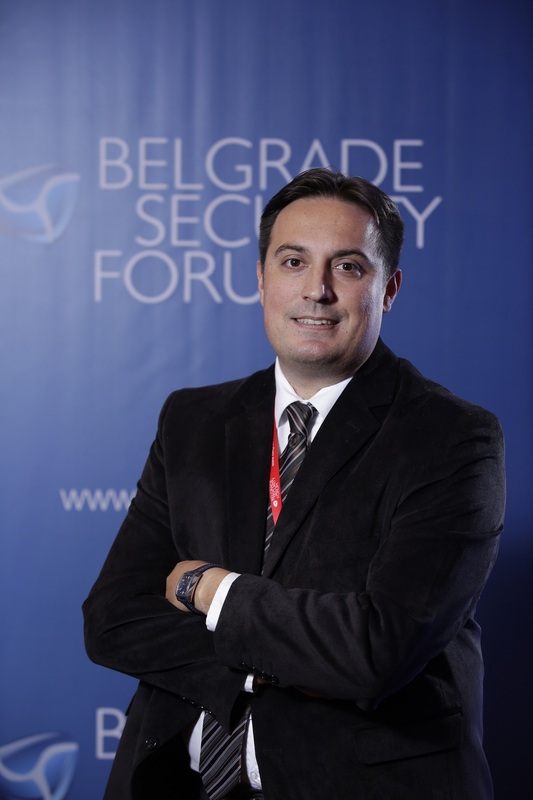 Marko Savković joined Belgrade Security Forum as its Program Director in 2014. He also directs programs of the Belgrade Fund for Political Excellence, starting with its Regional Academy for Democracy in 2013. In both organizations, his daily tasks include providing overall programmatic guidance and oversight. Previously, Marko worked for seven years as a researcher in the Belgrade Centre for Security Policy (BCSP), specializing in the fields of defense reform, civil-military relations and Euro-Atlantic integration. While working in BCSP, he co-authored the first “Dictionary of European Security” published in BHS languages, followed by a pioneering study in Serbia’s and Western Balkans’ civilian capacities for peace operations. From 2011 to 2014, he was a guest lecturer at the Centre for Security Cooperation – RACVIAC. He obtained his PhD from the Belgrade Faculty of Political Science, with thesis written on privatization of peace-building efforts worldwide. His work and thoughts have been published extensively in academic journals (Journal of Regional Security, Analytical, Vojno delo) as well as various magazines and portals (European Voice, Pescanik.net). He regularly writes for Novi magazin weekly, Danas daily newspapers and Novi pogledi portal. Marko is a member of the working group dedicated to chapter 31 of Serbia’s European integration process, within the National Convent on the EU. He is an alumnus of the Belgrade Open School and Die Zeit foundation’s Bucerius Summer School on Global Governance.